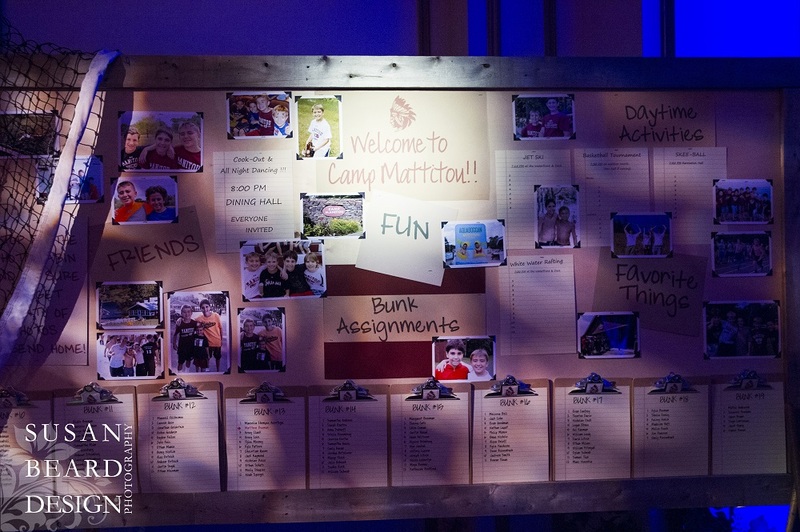 Welcome to Camp MATTitou, A Summer Camp Bar Mitzvah! 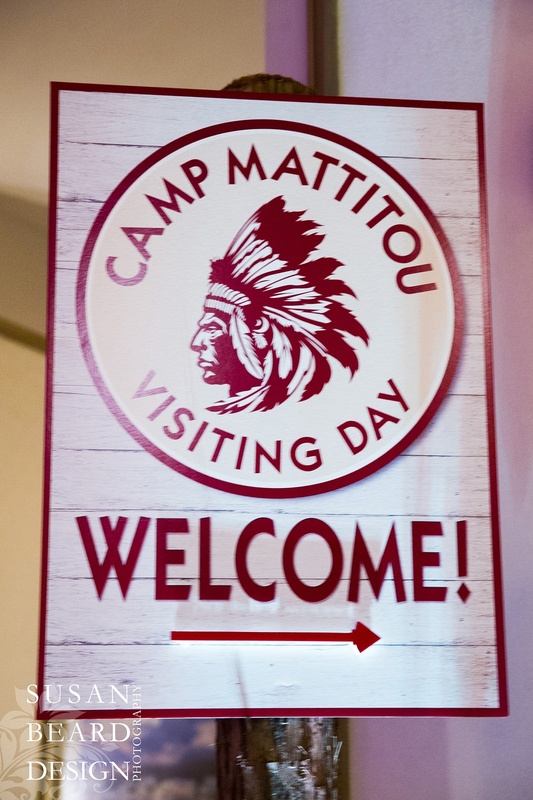 WELCOME to Camp MATTitou at The Ritttenhouse! 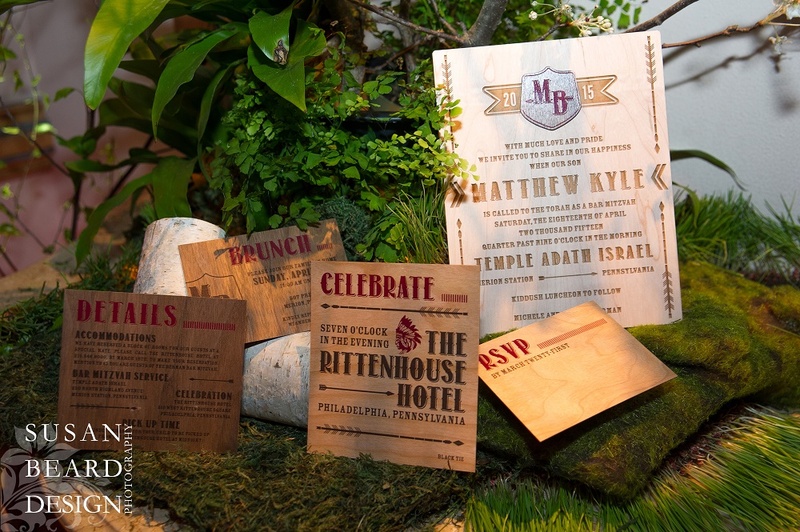 A summer camp-themed bar mitzvah we designed last April for Matthew, a young adventurer who loves his summers at Camp Manitou in Oakland, Maine. 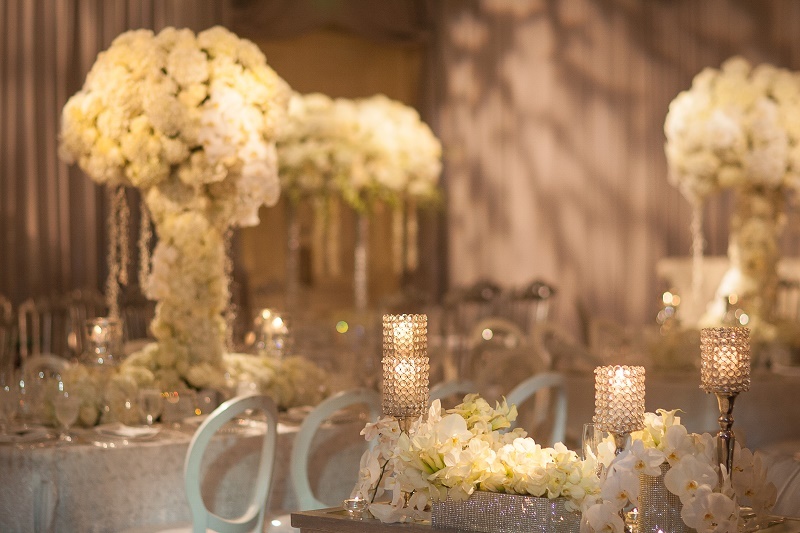 Morphing the party into Camp MATTitou, we integrated special elements of his beloved camp experiences into the event décor and food styling of his milestone celebration while still maintaining a sophisticated tone. SIGN UP FOR CAMP came in the way of warm, rustic, camp-inspired party invitations. 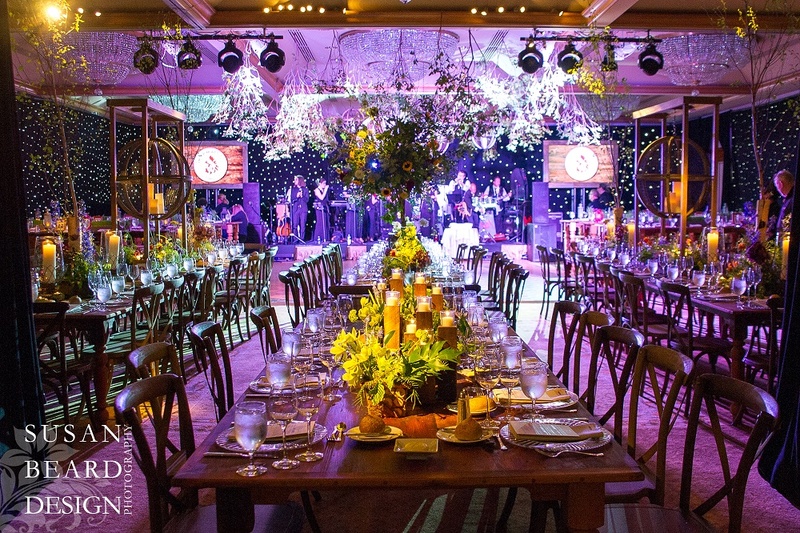 The feeling and tone of the event was communicated to each guest, young and old, through whimsical motifs, logos, and typefaces that we carried throughout the entire event. 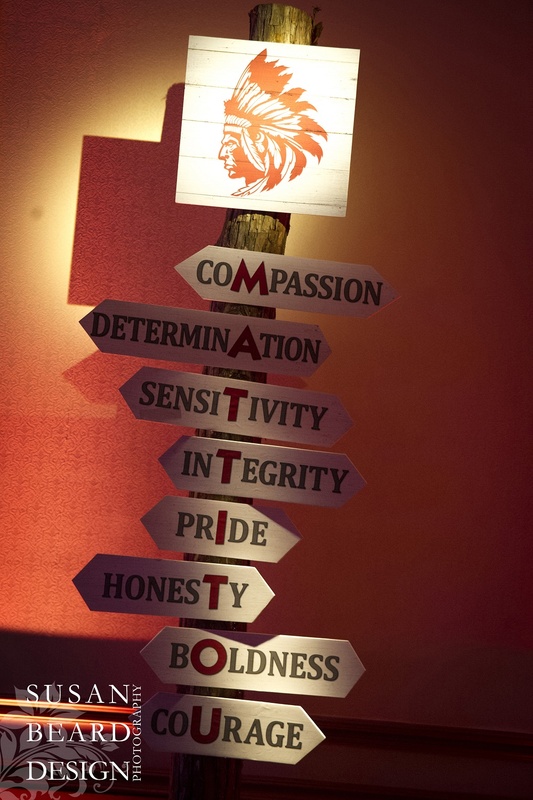 In fact, just as campers would see as they arrived at the real Camp Manitou in Maine, the first decorative piece party guests saw upon arrival was our tall directional sign post. Emblazoned with the camp logo and positive, inspiring words representing party activities, the sign post was placed at just the right spot to help encourage guests to venture further into the party. INTO THE WOODS WE GO! 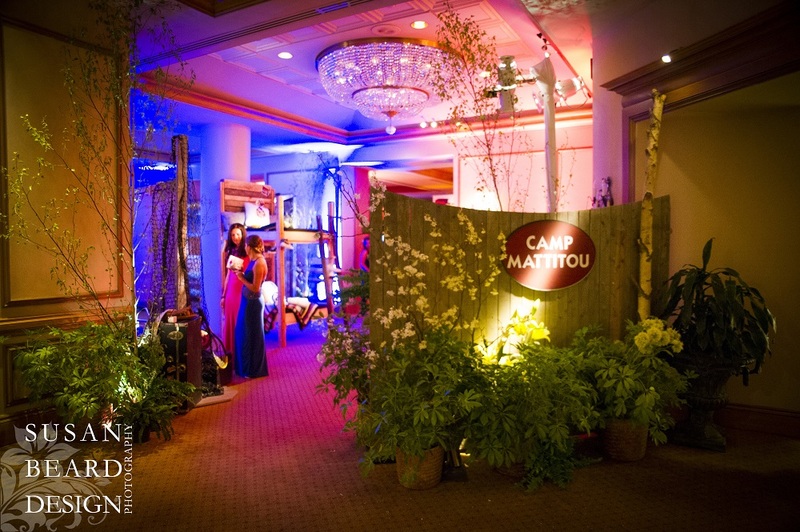 The entrance to the event space included a weathered-wooden fence, a Camp Mattitou sign, low shrubs, tall birch trees, and dramatic lighting to set the “outdoor” tone. BUNK ASSIGNMENTS were given to the kids on a giant bulletin board covered with posters, camp announcements, photos of Matt with his friends, and clipboards. Traveling trunks labeled with Matt’s name and his camp friends were stacked next to the bulletin board along with sports equipment and typical camp gear. 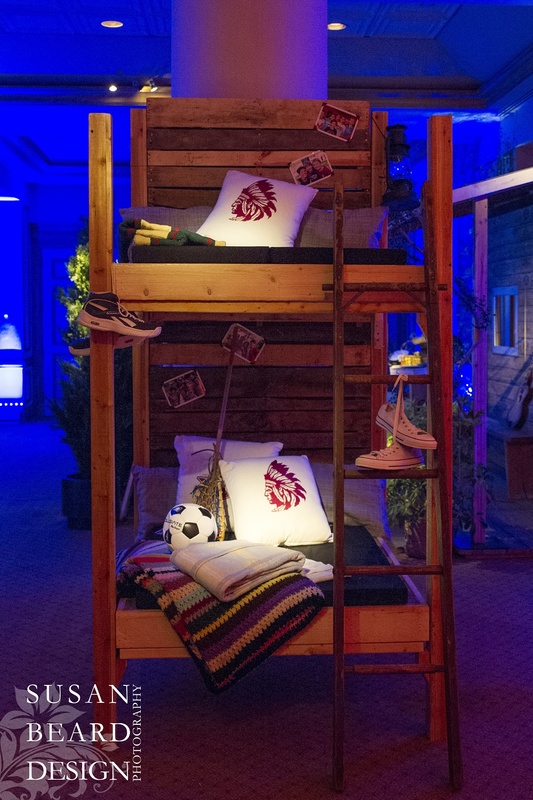 PERSONALIZED LOCKERS were designed for the kids to stash their shoes, phones, and fun favors in as they collected them through the night. 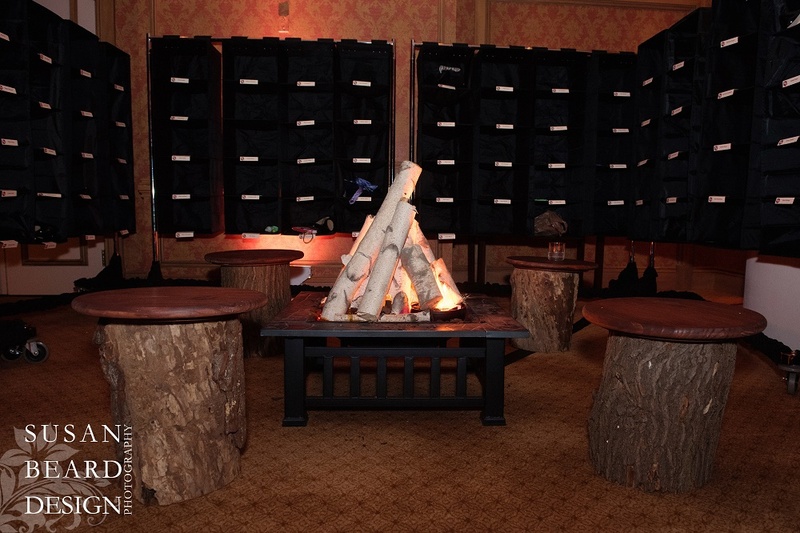 Old logs were placed around a faux bonfire in the center of the lockers to help kids get their shoes off and party socks ON! BUNK BEDS were placed near the lockers and were piled with camp gear, blankets, snacks, sports gear, towels, stickers, and personalized pillows. 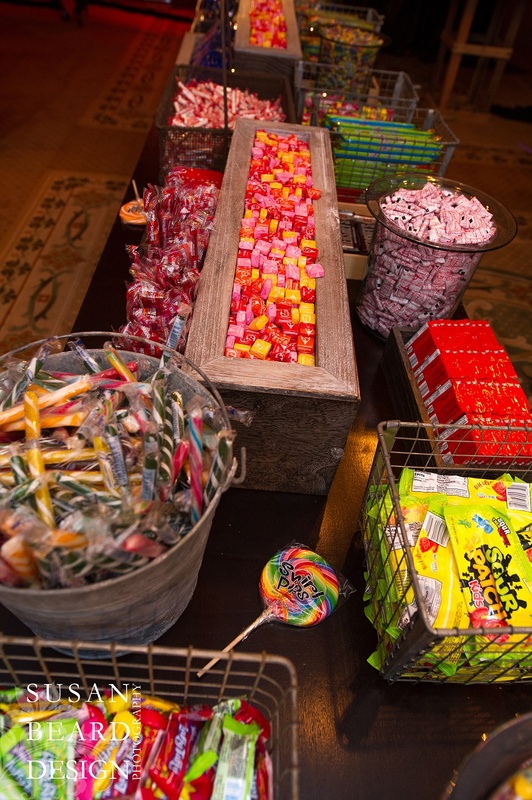 At the end of the evening, the bunk beds became a part of our Candy Canteen. PHOTO FUNTASTIC! 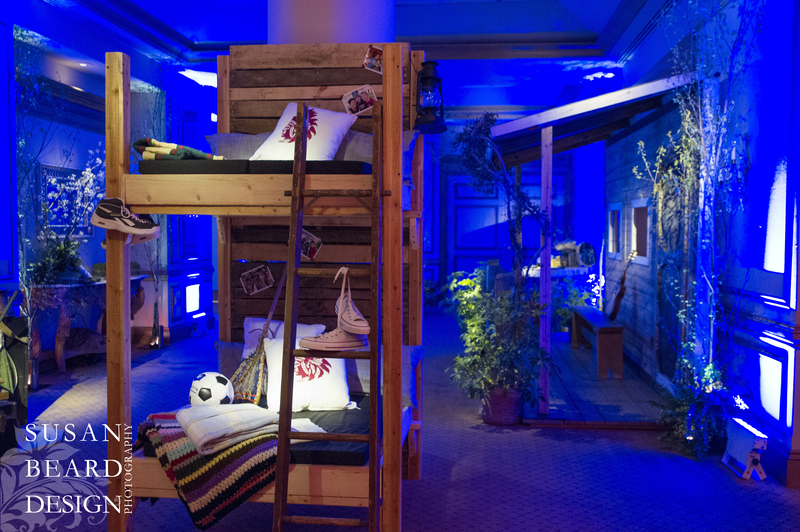 We provided the façade of a summer camp cabin to be used as a photo wall, complete with window frames for the kids to duck behind, hang out of, cramp into, etcetera as take home photo favors. Rustic benches, old guitars and fiddles, and other fun country props were placed on the cabin porch. FUNTOWN! 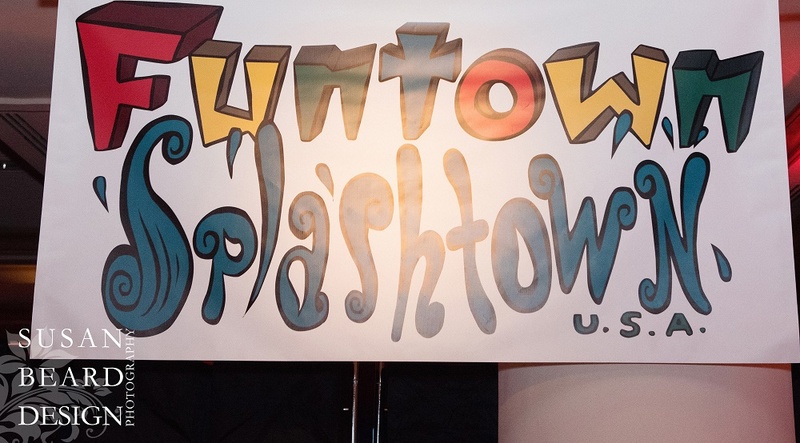 Of course, you can’t have a successful summer camp experience without other games and activities for the kids, which is why we provided and managed MANY throughout the night branded Funtown “Splashtown” USA, a local water/amusement park near Camp Mattitou. Banners marked the entrance to Funtown “Splashtown” and we created a fun ‘park directory’ map/sign for the activities area that included summer favorites like Double Pop-a-Shot, Jet Ski Simulators,, White Water Rafting, and Skee Ball, to name a few. WELCOME TO VISITING DAY signage was placed at the entrance to the adult cocktail area. PEG BOARD SEATING. 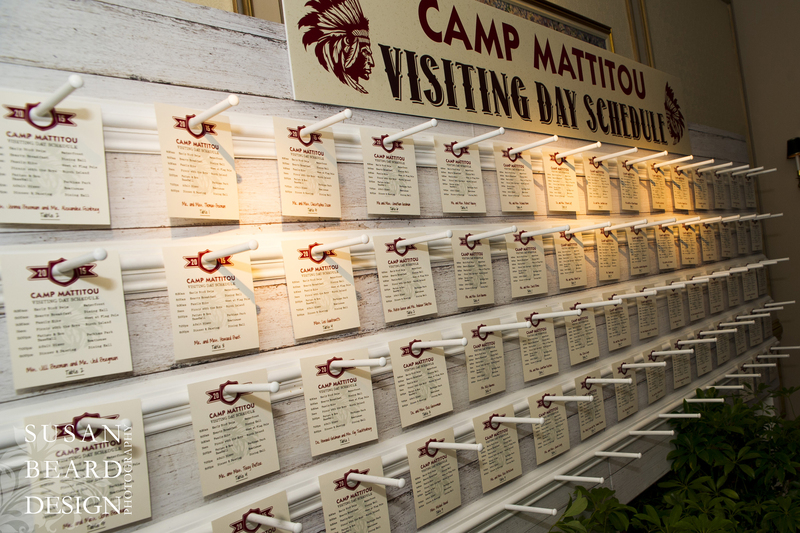 Our weathered white wooden peg board was used to display camp-themed “activity card” seating assignments for the adults. Later in the evening we turned this same peg board into a fun, grab what you want, Doughnut Board! FOOD CABINS for the adults made sure all the kids at every age got to enjoy the playful theme. Starting with the Hot Dog & Artisan Beer Cabin, a rustic wood cabin façade with a selection of hot dogs with various rolls and toppings. LOBSTAH! 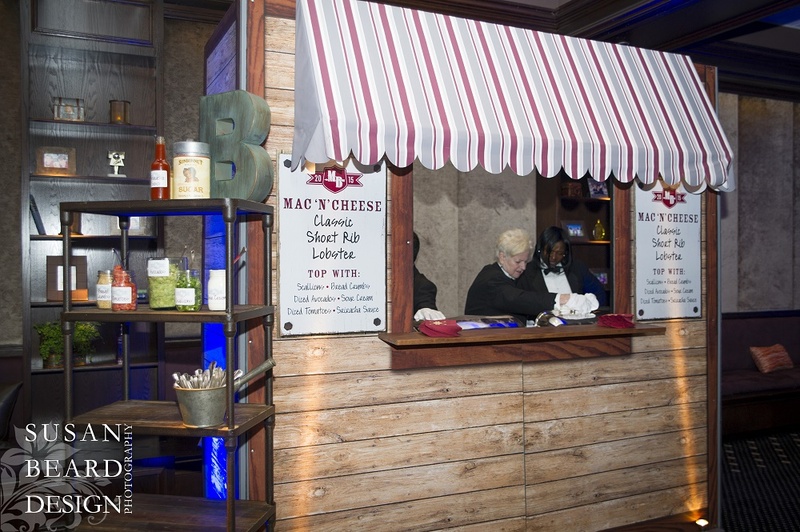 Then, a huge favorite, the Mac & Cheese Cabin with adult-style interpretations of the Americana-favorite comfort food. 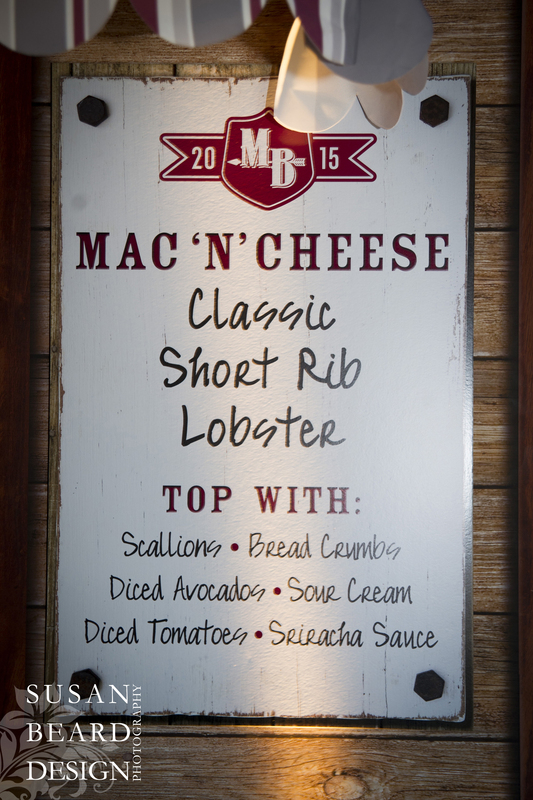 Come on now, Lobster Mac & Cheese? 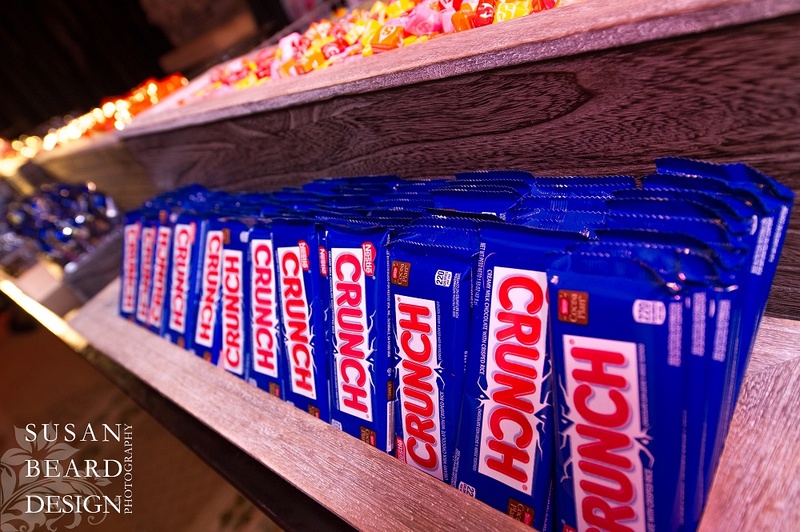 Get in line, people. Get. In. Line. ALL LOGO’D UP! 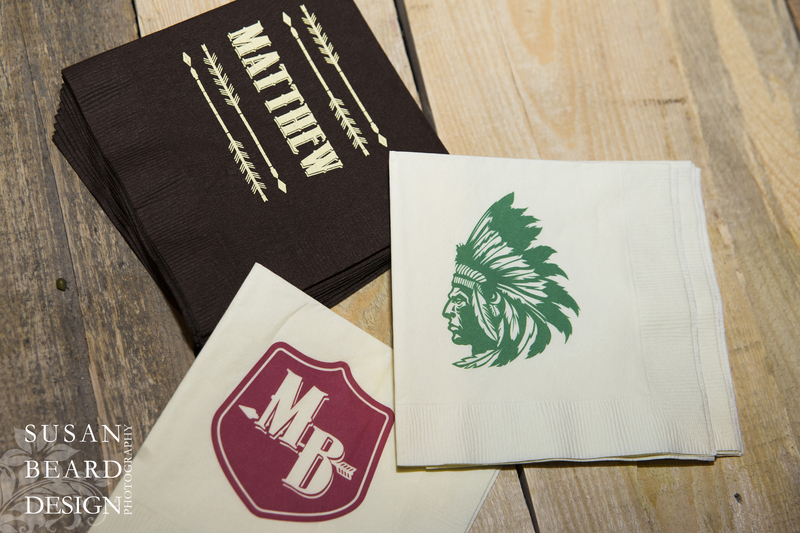 Of course, we had to use all Camp Mattitou’s fun summer camp logos and signs on the cocktail napkins! 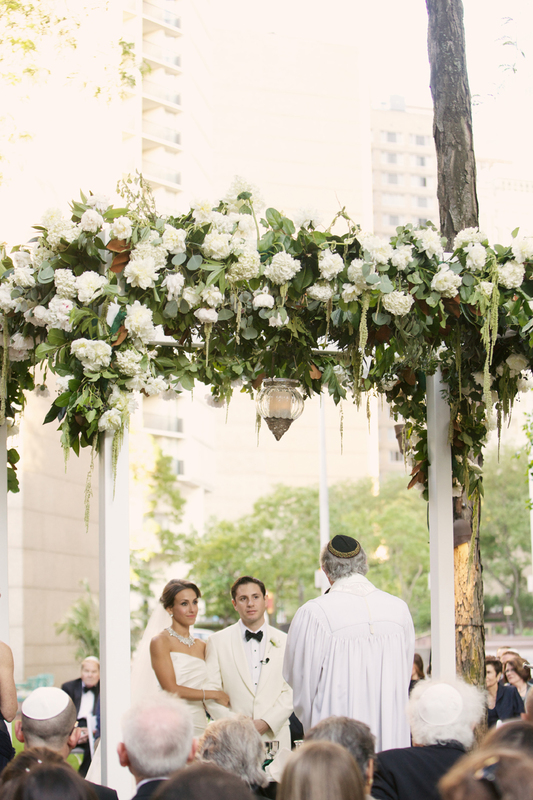 The matted natural colors and Native American/Western influences were PERFECT! 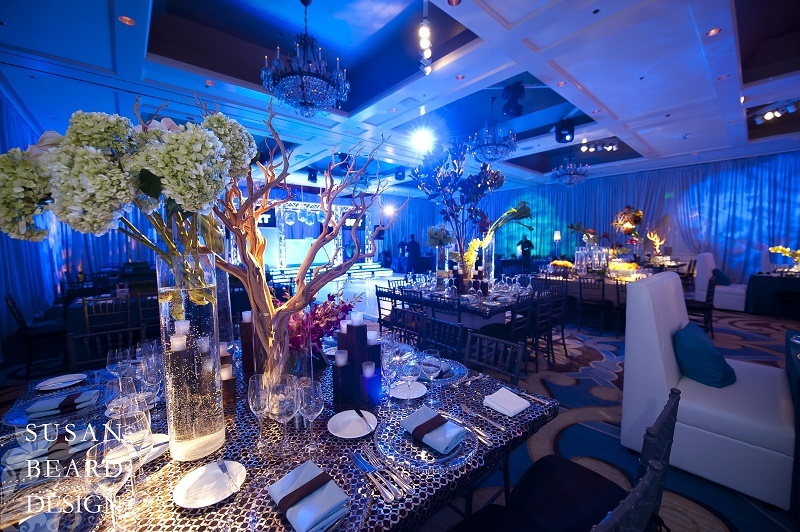 ON TO THE BIG PARTY in the Grand Ballroom which we transformed into a magical, high-energy, outdoor celebration under the stars! 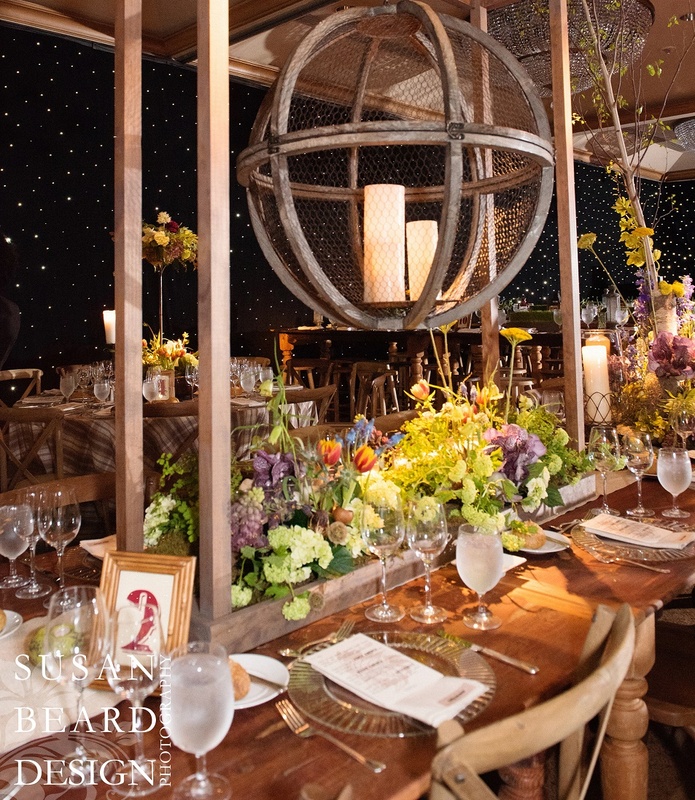 Long wooden tables, gingham fabric tablecloths, raw wood cross back chairs, wildflowers, wheat grass, and lanterns of every kind were placed in a room dripping with stars and subtle details. 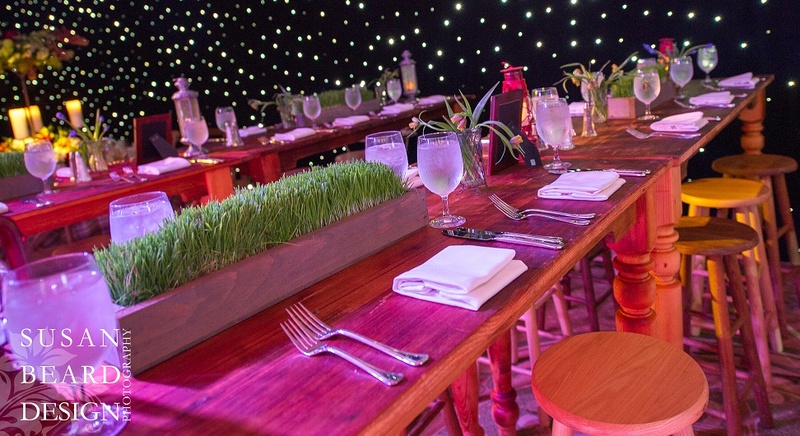 THE MESS HALL aka “the kids tables” were a bit more stylish than what Matt usually experiences at summer camp. 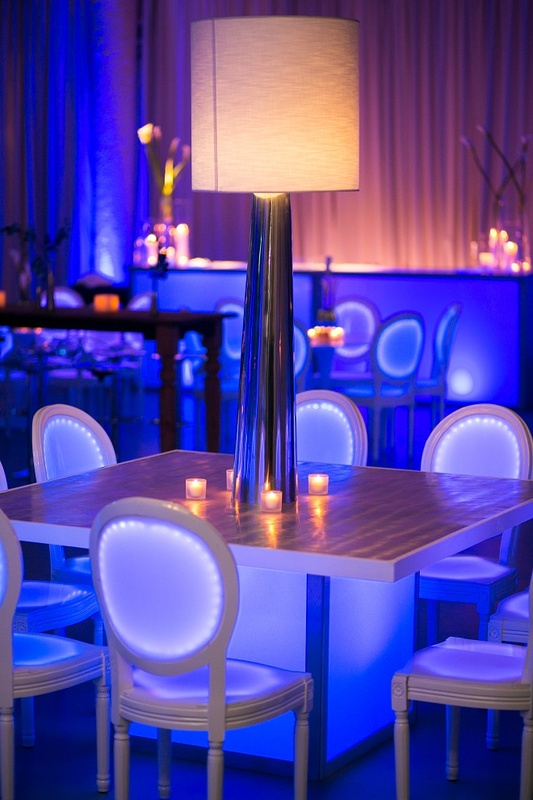 Long wooden tables with matching bar stools were placed together in the room. 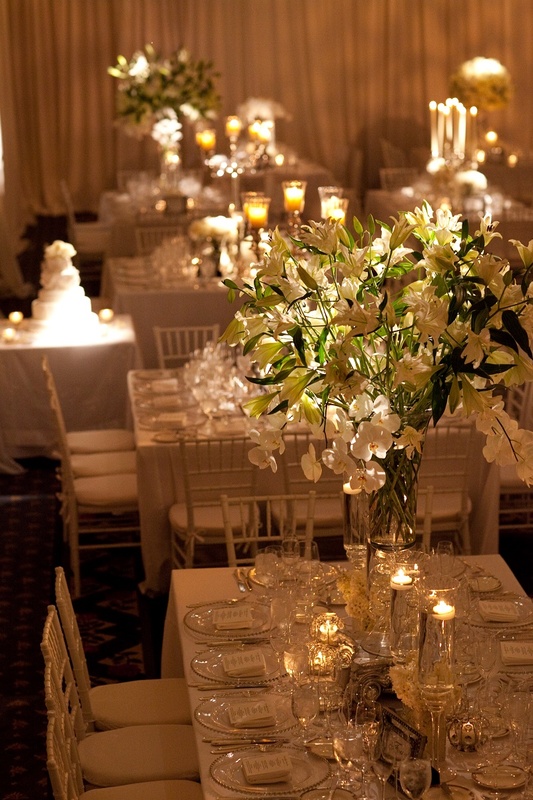 Keeping things simple and safe, we placed low arrangements of wheat grass, wildflowers and faux candles on each table. 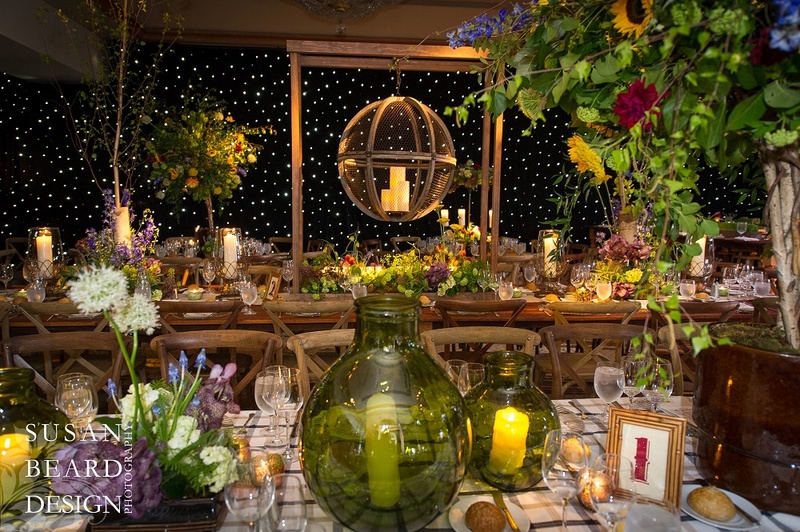 ADULT DINNER TABLES were designed with fabulous arrangements of natural elements such as moss, fern, succulents, flowering branches, wood, and other earthy things you would find on the forest floor. 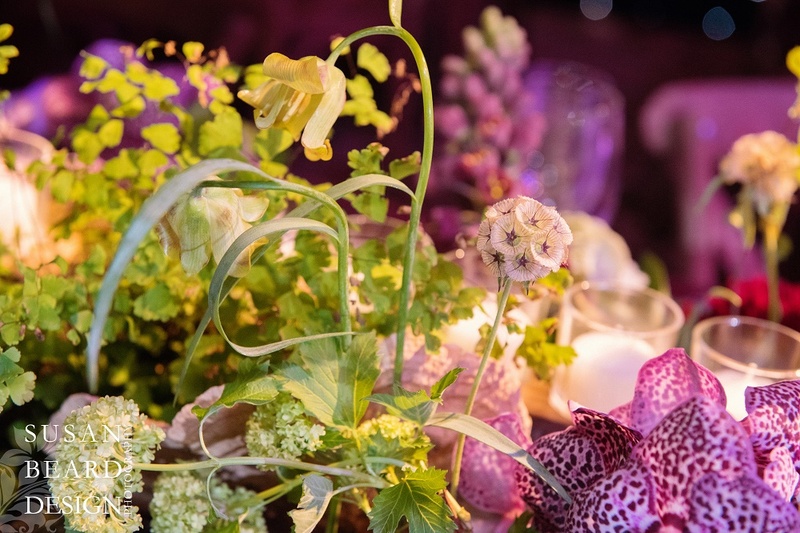 Combined with beautiful imported flowers of the season such as Narcissus, Lady Slipper Orchids, Ranunculus, Protea, Hellebores, Fritillaries, Amaryllis, Ornithogalum, Viburnum, Gloriosa, Peonies, and others. 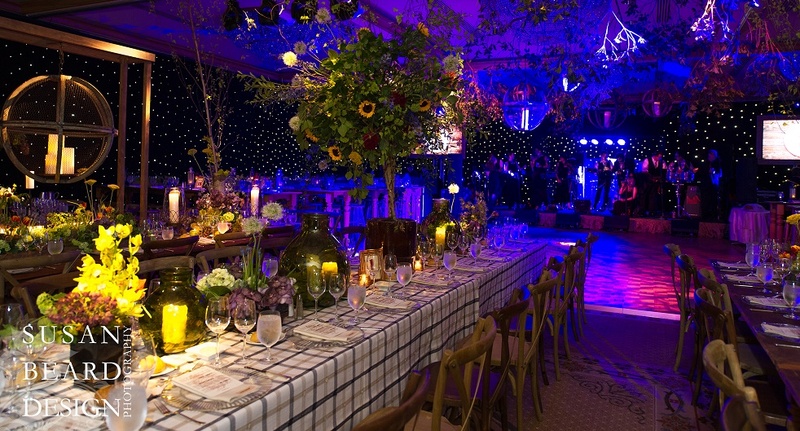 On the two longest wooden tables, we suspended wooden and wire mesh lanterns from stained wooden frame structures. 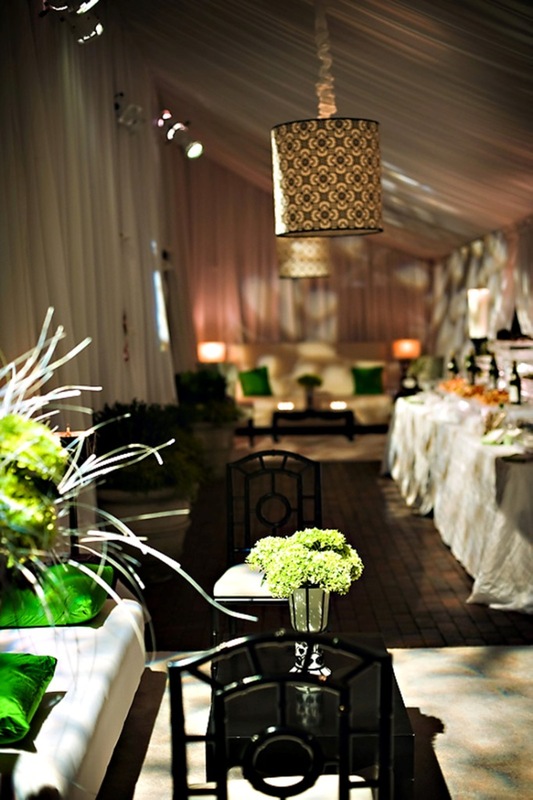 Water gardens with moss, rocks, and flowers were placed beneath the lanterns for table top admiration. 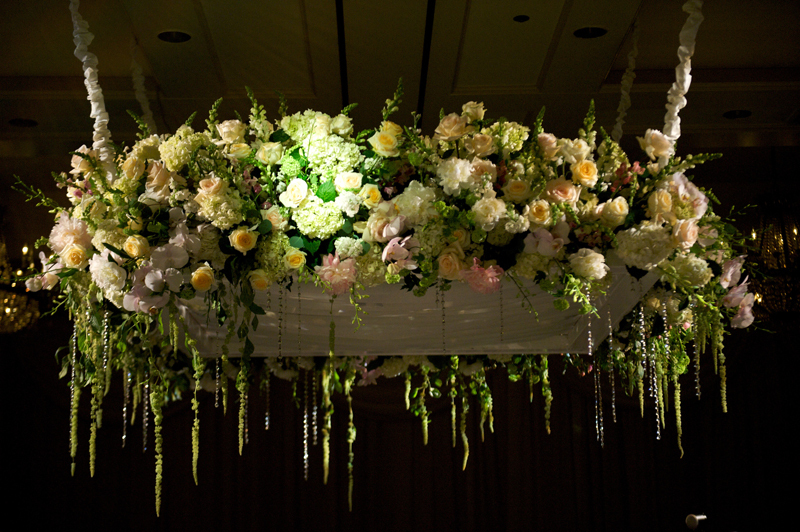 Flanking these were tall birch trees in leaf with under-plantings of natural designs of flowers and candles. 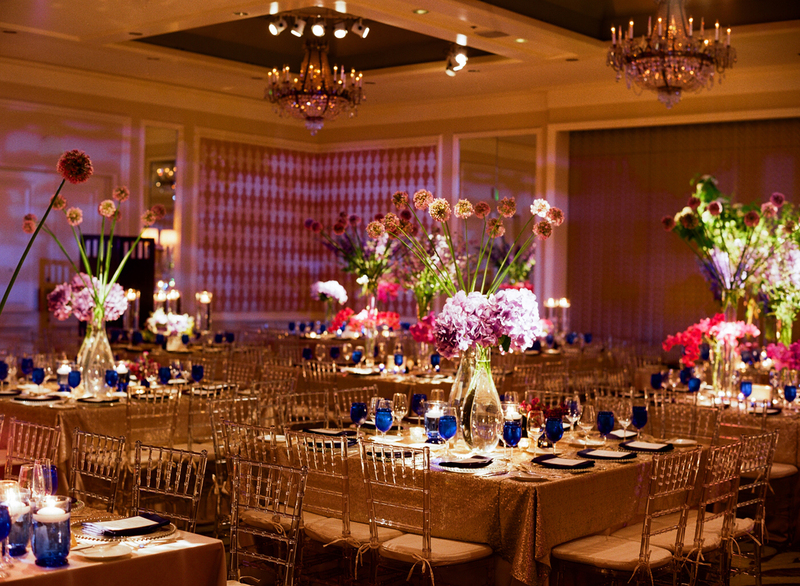 Vintage lanterns were tucked everywhere into the designs. 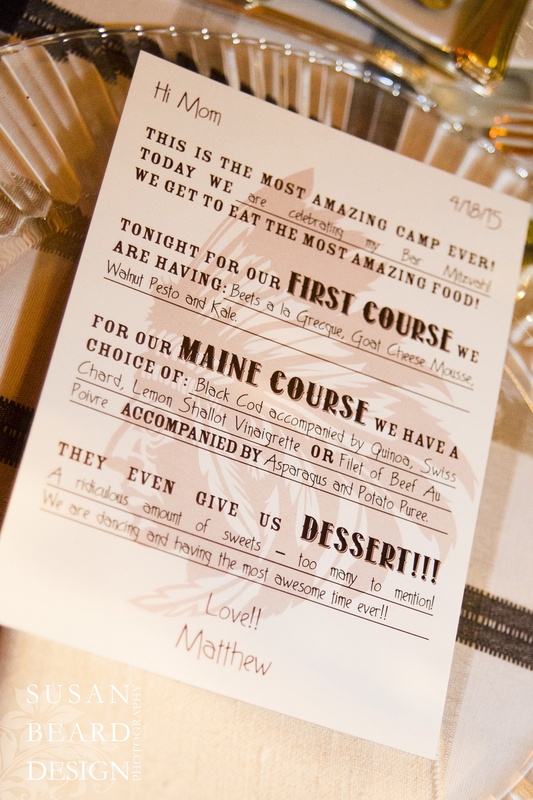 LETTERS FROM CAMP with sweet, sentimental notes from Matt were created as memorable menu cards that blew the guests away! Quite possibly, our favorite detail of the event. 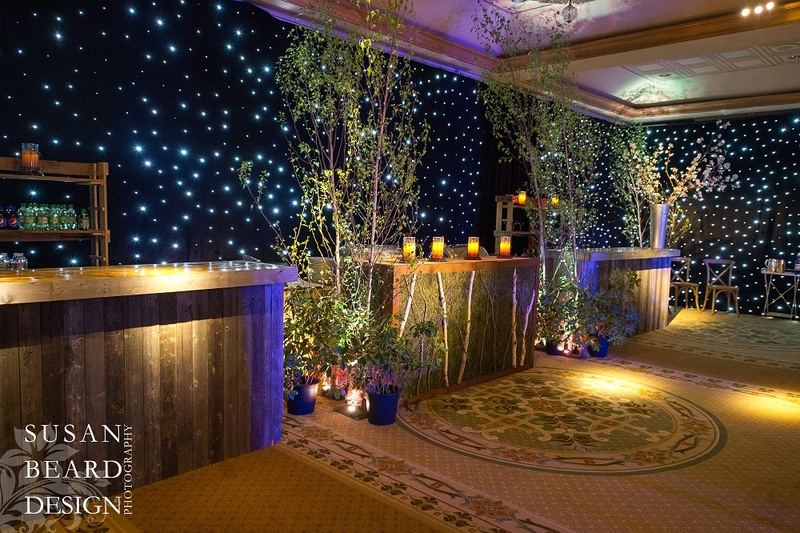 RUSTIC BARS were custom-designed in our wood shop using re-purposed wood planks, moss and birch branches. 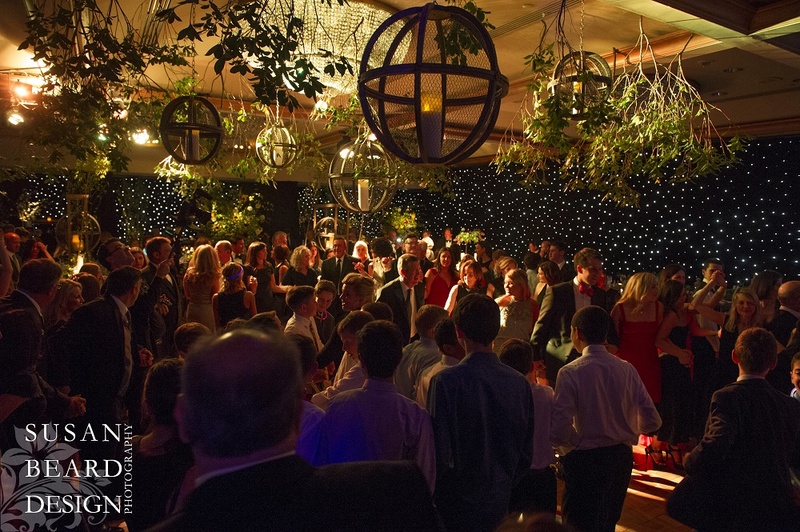 Placed at the back of the ballroom for the adults to enjoy, our back bars with rustic wooden shelves and country lanterns added a soft glow. 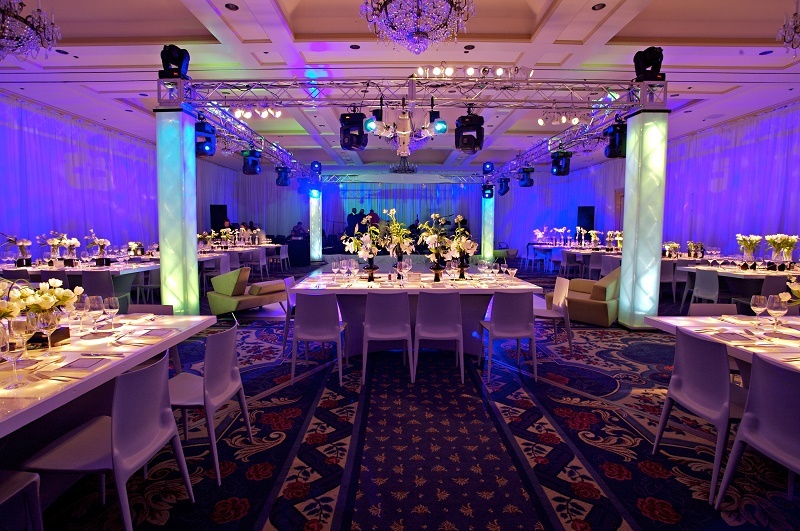 SHINING STARS in the form of fiber optic curtains were on every perimeter wall but that only drew the guests eyes to the dance floor! 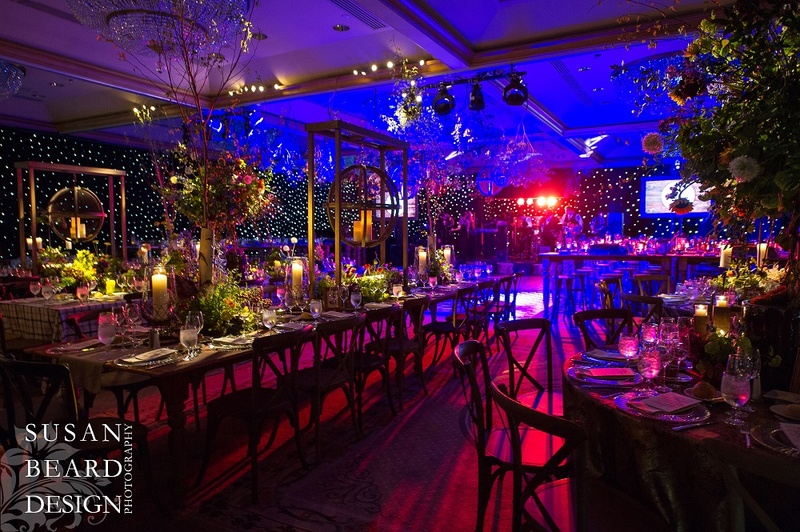 We installed dramatic lighting for Matt’s event, breathing life and excitement into the design of the room. 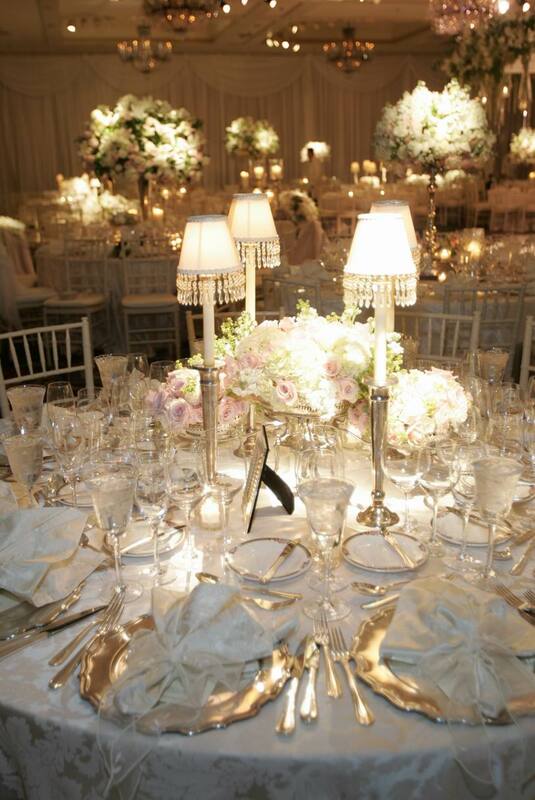 Soft lighting was directed onto the tables in candlelit washes and pin-spots highlighted the floral centerpieces. 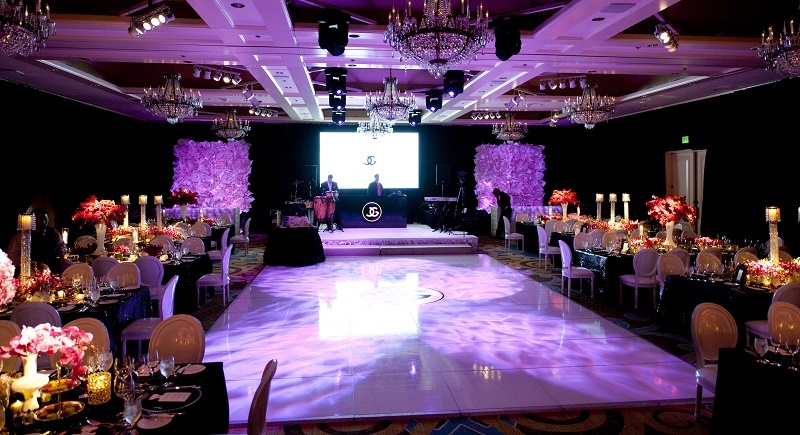 And, of course, dynamic lighting was installed to move with the groove of LA Stars on stage! 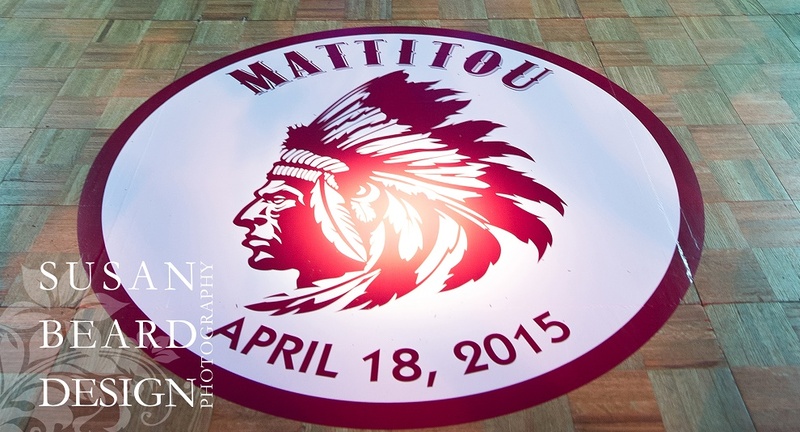 DRESSING UP the hotel’s parquet dance floor with a large Camp Mattitou logo just made sense. 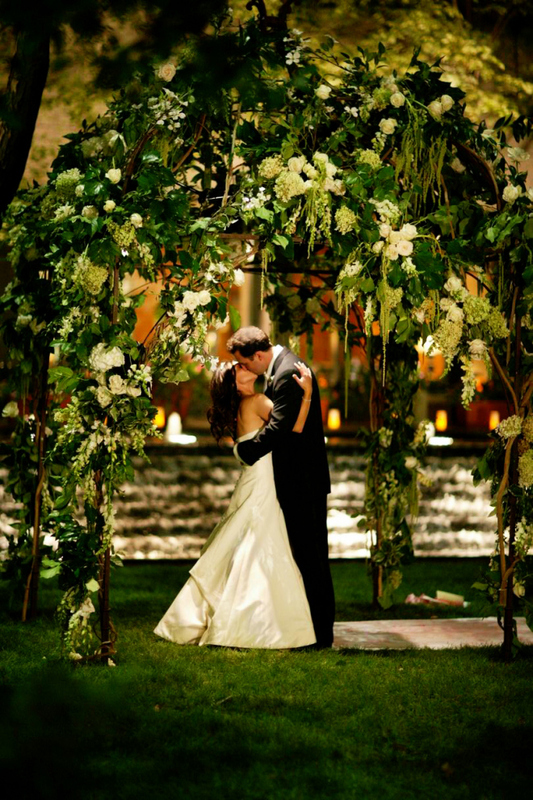 Up above the dance floor, to simulate dancing under the trees, we hung branches and lanterns. MULTI MEDIA may not be welcome at every summer camp in favor of activities out of doors, but it was at Camp Mattitou! 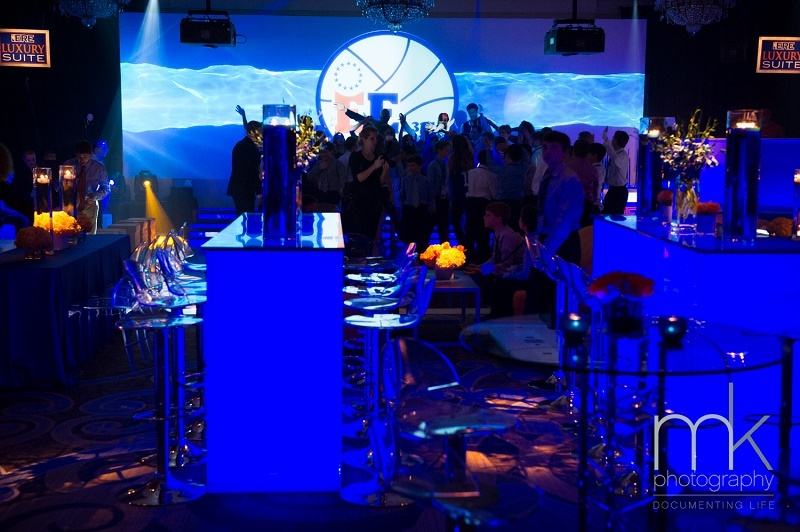 Two 80” plasma screens were framed in faux timber and were used all night! 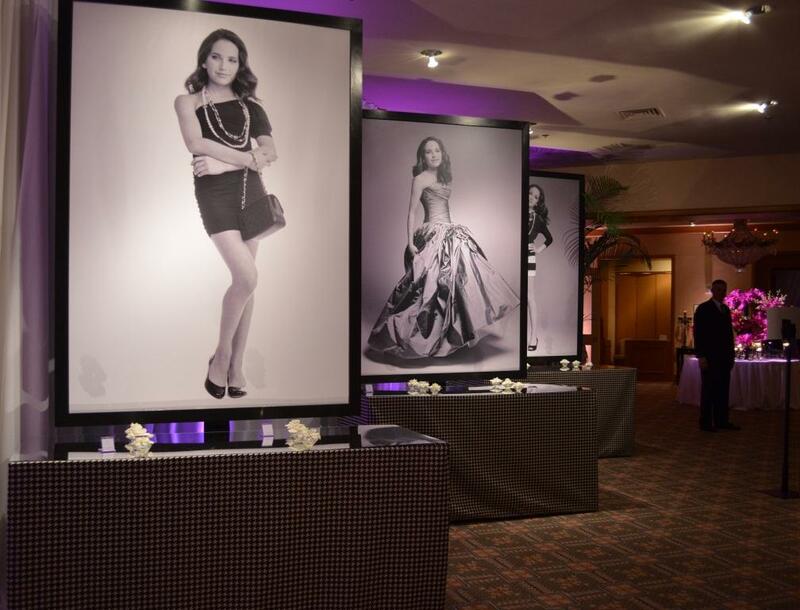 Most importantly, the screens were used to share Matt’s photo montage. Then, the screens projected the Camp Mattitou logos as well as fun “camp announcements” inviting campers to join their bunkmates for hot waffles, or at the Candy Canteen, or to say it was time to pack up and head home, etc. 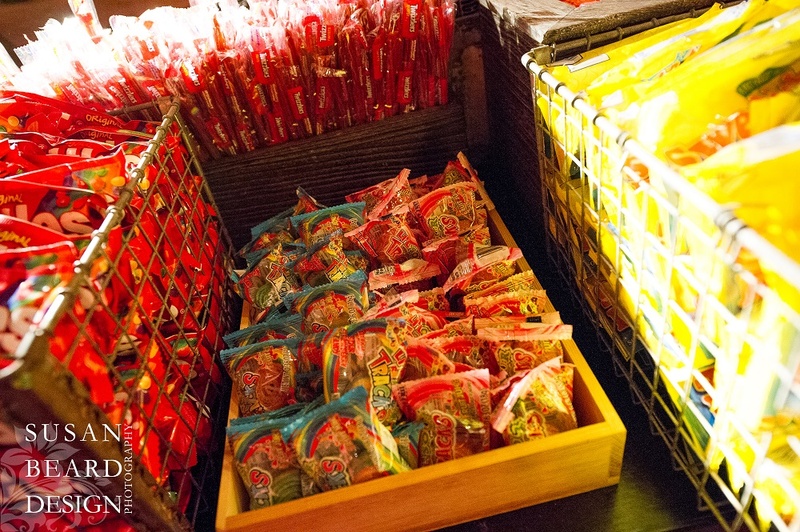 THE CANDY CANTEEN was more than just obscene amounts of nostalgic old time and modern day candies displayed in metal baskets and wooden boxes. Oh no, it was so much more than that! It was a Waffle Station, Doughnut Board and S’mores Extravaganza! 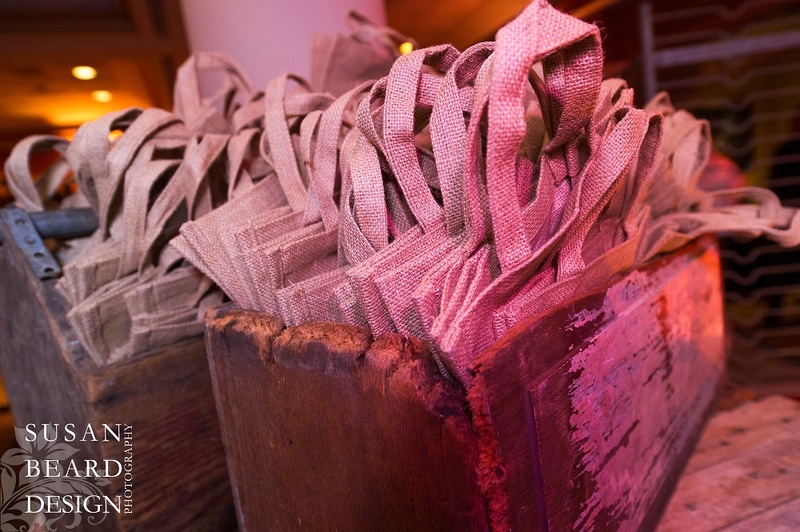 Branded burlap bags could be filled up with candy store favorites for the bus ride home while kids munched on freshly made waffles and adults devoured brightly-frosted doughnuts. 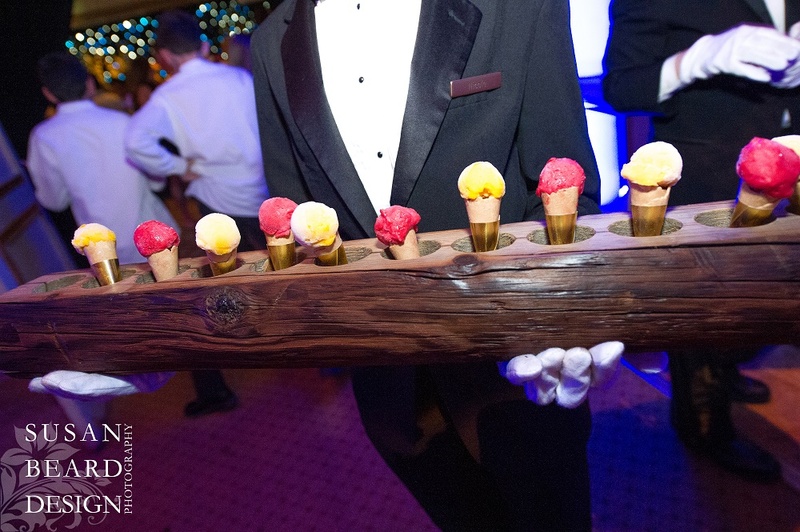 Passed mini ice cream cones made sure even those guests unwilling to leave the dance floor could enjoy a sweet bite! WE’D LIKE S’MORES PLEASE! Can’t fight it, a campy reference was inevitable! 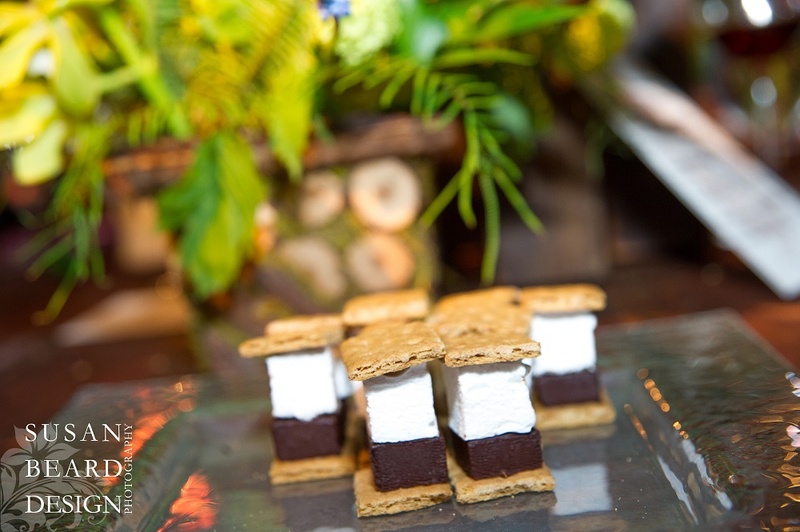 But everyone loved the S’mores extravaganza we set up with table top camp ‘fires’, along with other vessels to contain the sticks, marshmallows, chocolate bars, and graham crackers. 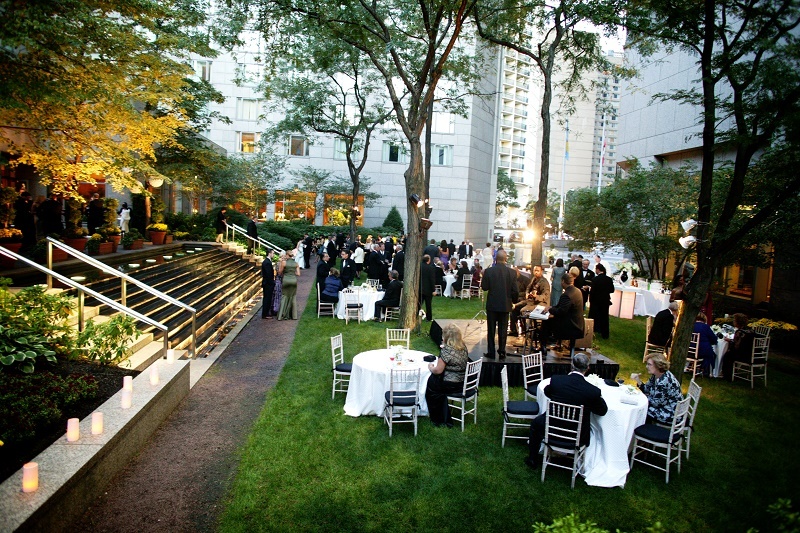 The benches previously used during the cocktail reception were placed around the s’mores fire for a cozy fireside feel. PARTY ON CAMPERS! While guests danced the night away, our team of event managers were hard at work supervising the kids, collecting gifts and cards, changing over food stations, moving set displays, organizing the kids’ sweatshirt favors into their lockers, loading kids on and off buses, and packing up care packages of goodies for hotel guests to enjoy the next day. WHEW! Party on campers, party on. 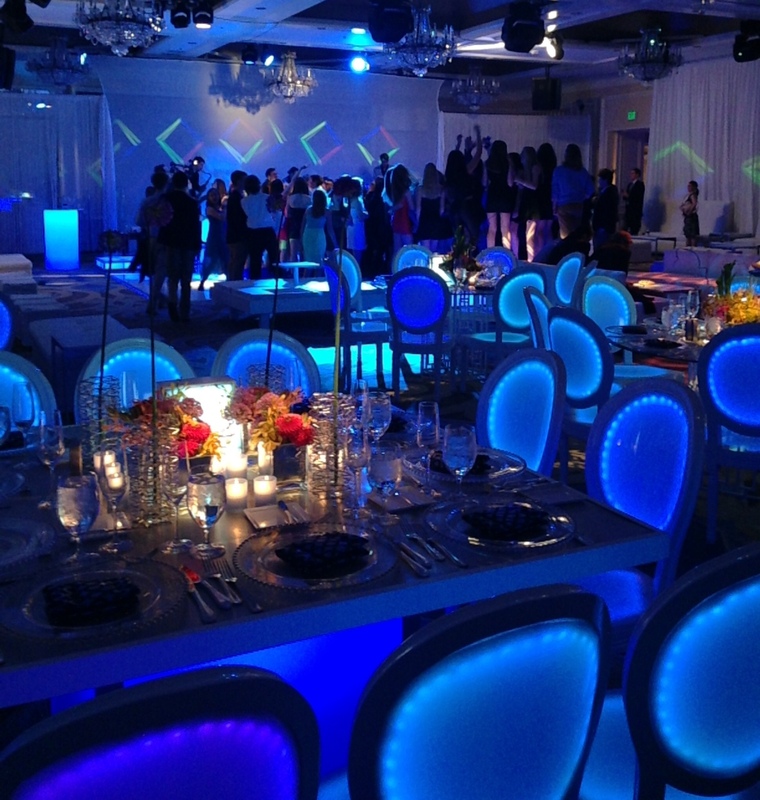 Combining his desire for a fun party with his parents’ wish for a minimalist design, we created Hank’s dream BAR MITZVAH party at Moulin at Sherman Mills. 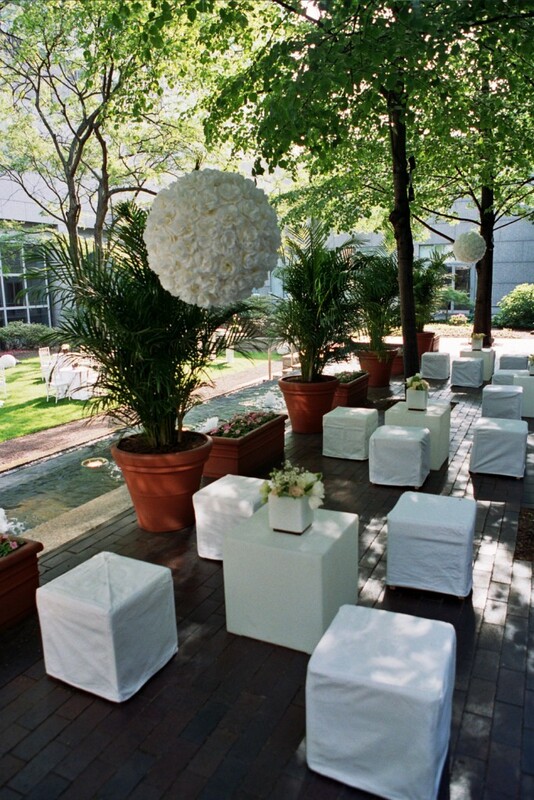 An urban loft space able to host thousands was chosen for Henry aka Hank’s party of 200, but our design plan would incorporate a variety of white lounge settings, light up elements, a giant LED dance floor, and the latest in intelligent lighting into a smartly-designed event floor plan that would bring it all together perfectly. 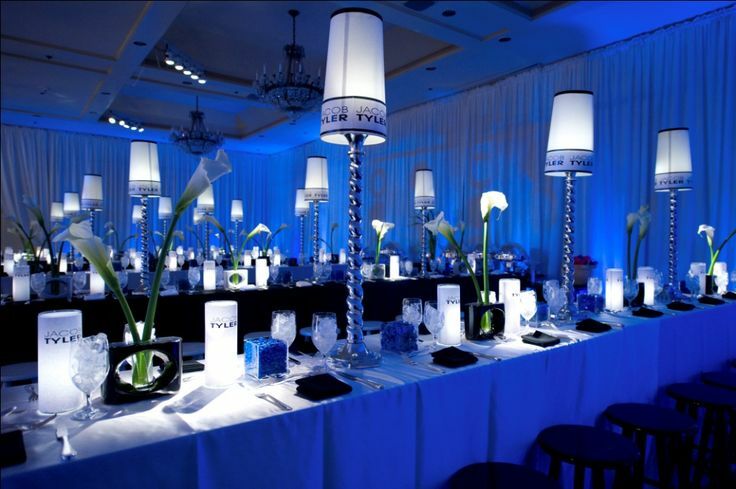 So as not to fall into the typical category of another light-up mitzvah, and in deference to the industrial-themed location, we enhanced the all-white upholstery pieces with over-sized rustic wooden tables, high gloss white furnishings, contemporary and handmade artistic pieces, as well as architectural flowers and warm candlelight. 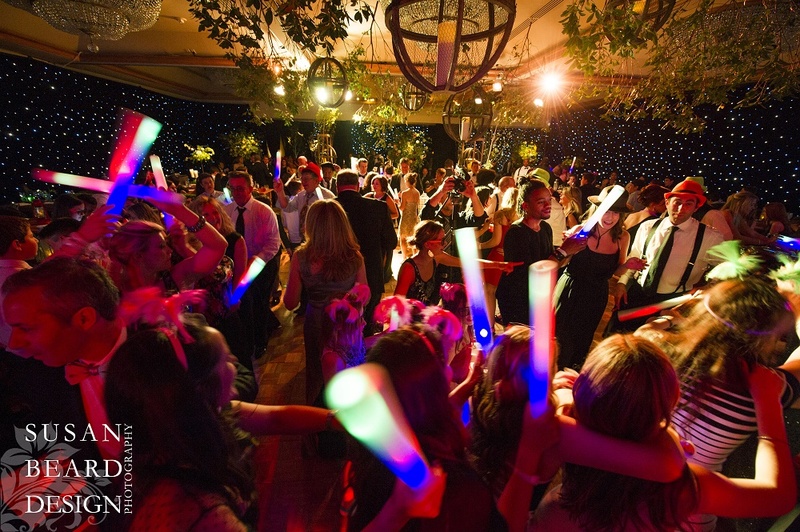 Add that to the savvy culinary stylings of Brulee Catering and the insanely hot deejay/emcee crew from Norma Michaels Entertainment and the party CRUSHED IT! 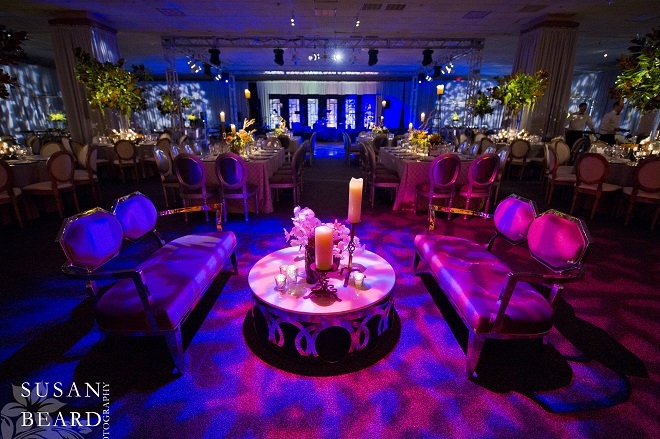 But take a look at two things that are easily shown here in this #partystudy; first, the BEFORE AND AFTER photos of the event design that take you from daylight to full-scale event lighting transformation; and second, the clean, thoughtfully laid out floor plan our team produced for design and function. 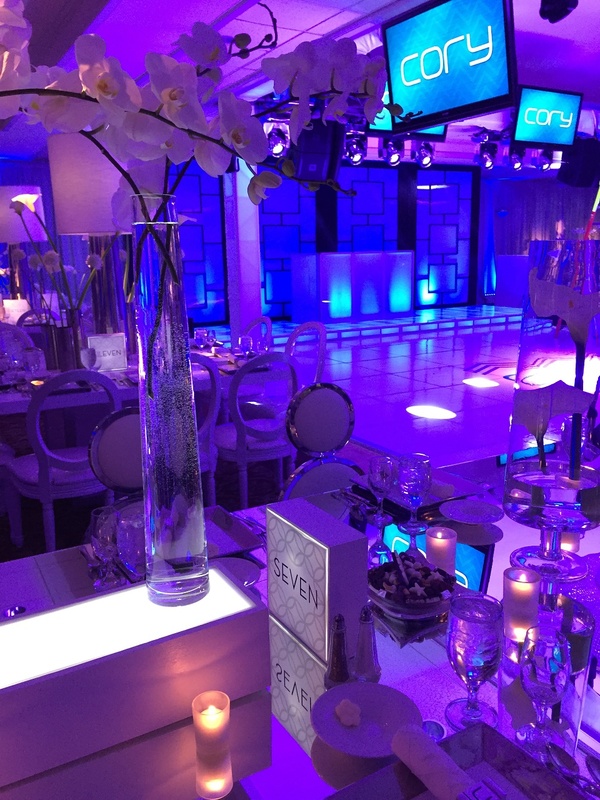 REAL STORIES: Celebrating Club Cory on this Mitzvah Monday! 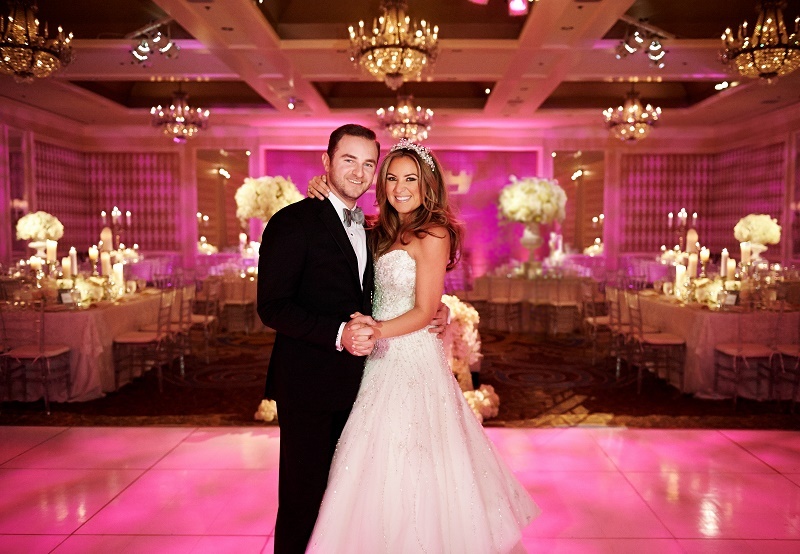 Thank you Brian and Evantine Design for creating such an amazing night. 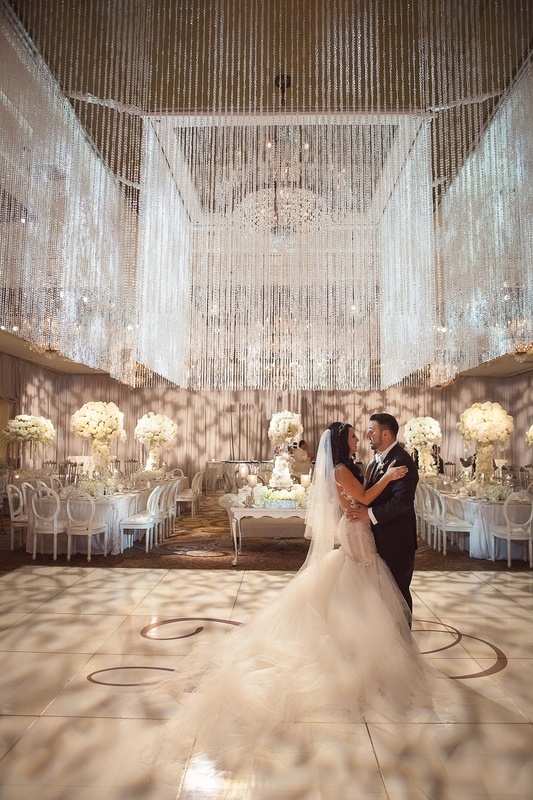 The room was spectacular. 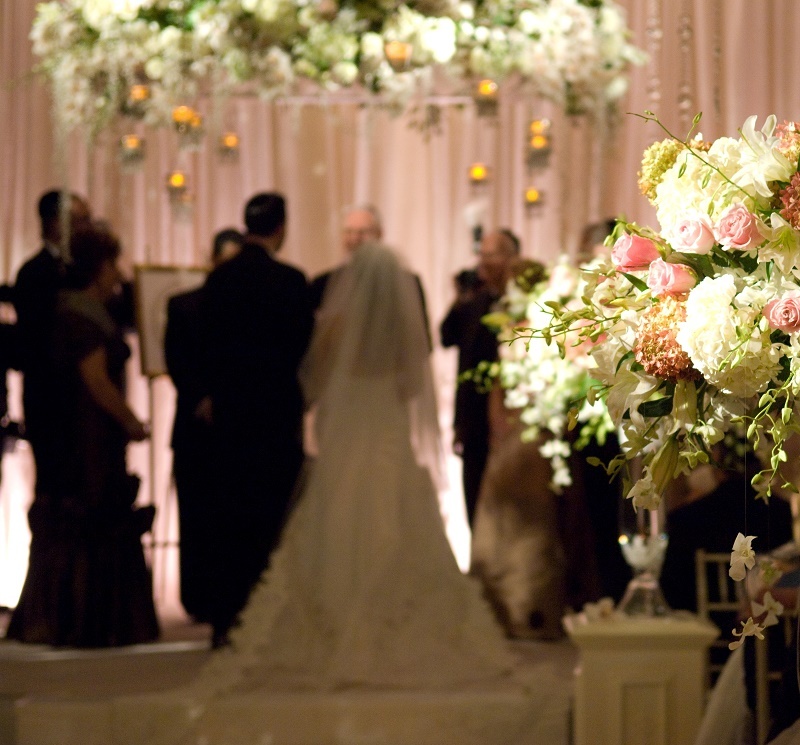 You are a pleasure to work with and your vision and creativity is like no other. 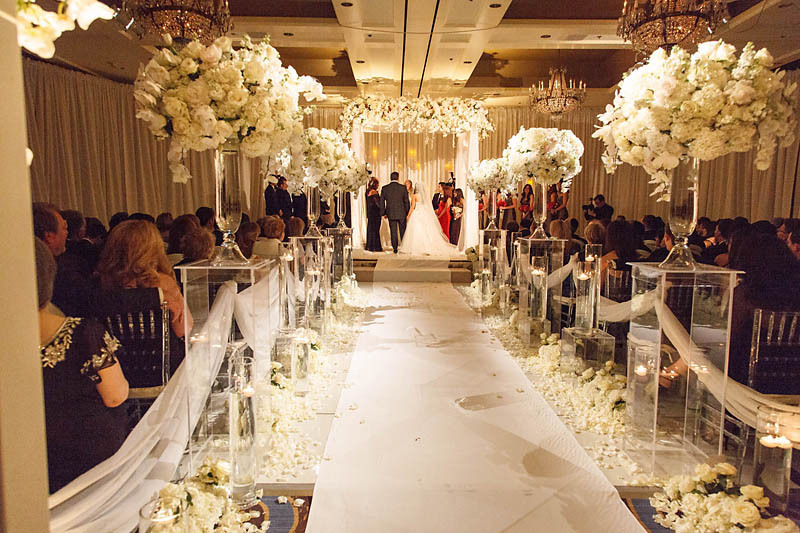 Thank you for making everything work and creating a beautiful room. There was no detail left out. Thank you for not only doing your part but also reaching out to all my other vendors and making sure everyone was on the same page!!! You are awesome!!!! 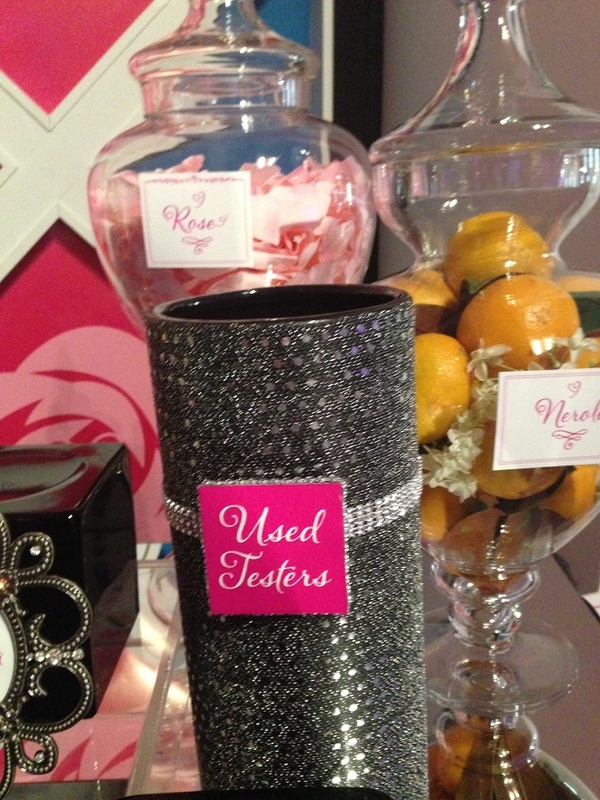 Our Fragrance Bar is just too “scentsational” not to share before the party is over! 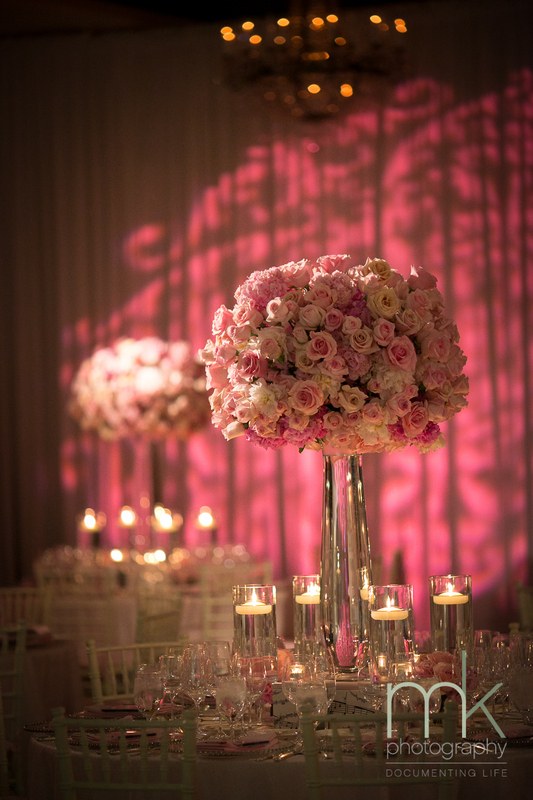 For tonight’s pretty in pink bat mitzvah celebration for our chic young client, Miss Mackenzie, we styled up a glamorous “make-your-own-perfume station” for her to enjoy with friends. 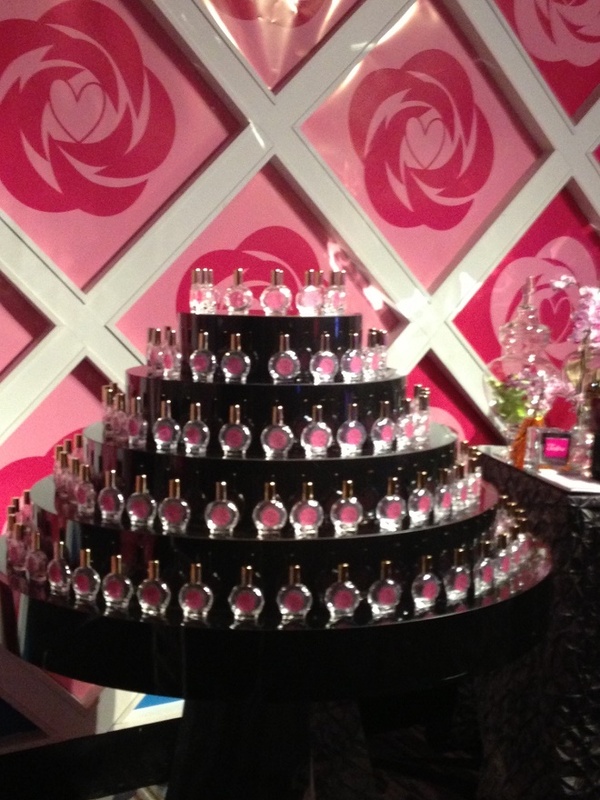 We created an entire Perfumaria boutique in the kids cocktail area, allowing for plenty of space to display the 14 various essential oils, from Rose to Lily, Pink Grapefruit, Vanilla, Lavender and more, on our elegant mirrored tables. 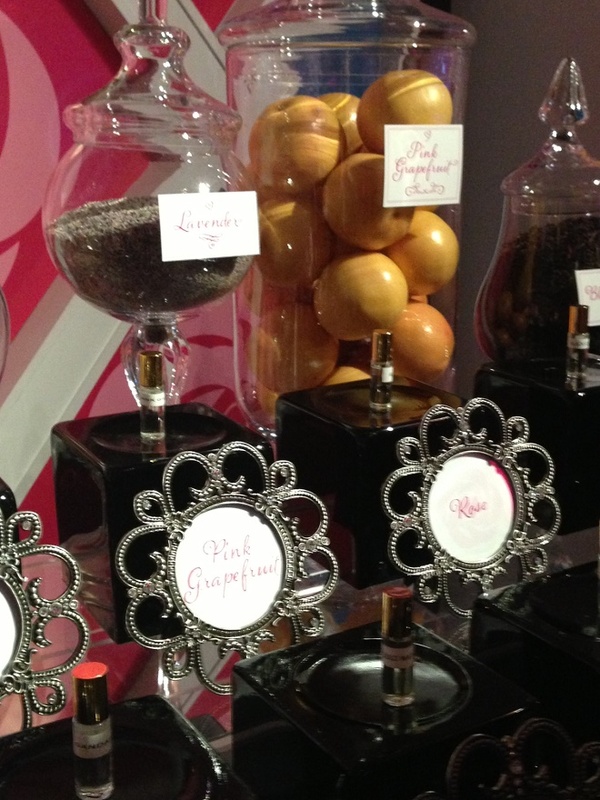 We even set out fragrance recipe cards “noting” (get it?) 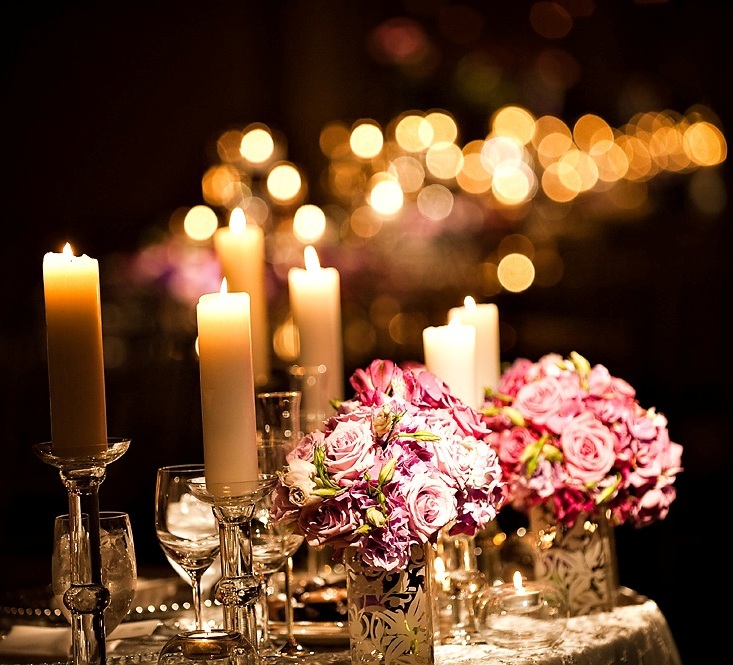 suggested fragrance combinations that guests could try, should they need inspiration. 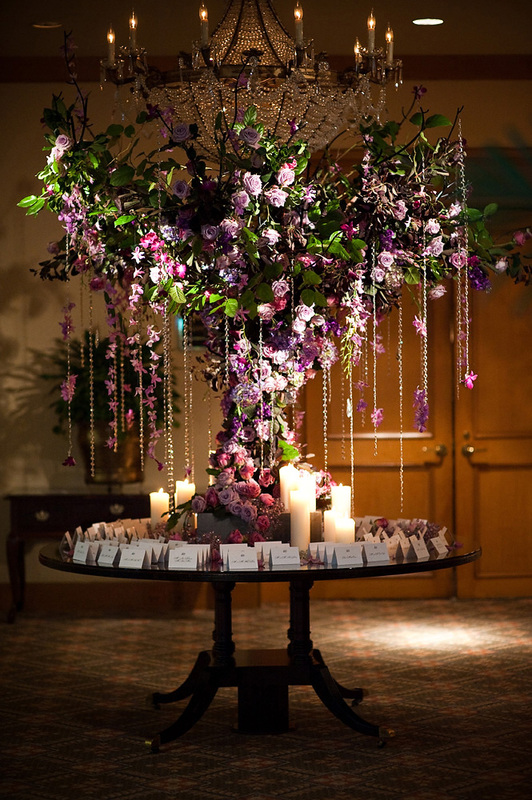 Of course, we’re known for our well thought out and detailed displays, so we also provided vessels to hold the fragrance tester strips, as well as multiple Apothecary jars filled with colored water, fresh flower petals, herbs, spices, and teas to represent the selection of scents. 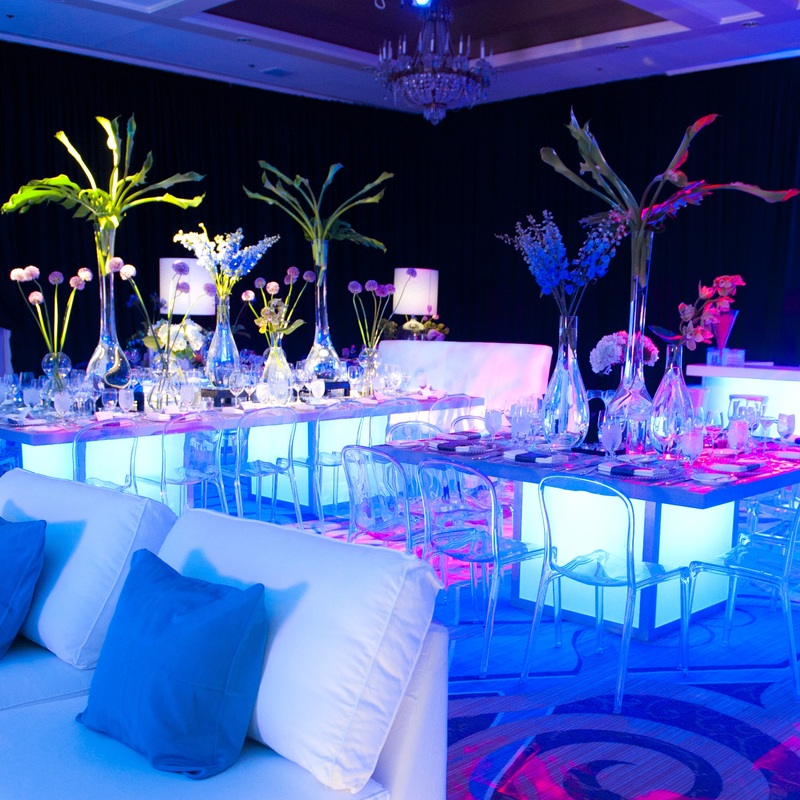 Truly one of the most memorable bat mitzvah activities we have styled up and we even have several brides interested in incorporating the activity into their bridal showers! You are currently browsing the archives for the MITZVAHS category.